hey, i can get this phone on a 10 pound a month contract. 100 mins unlimited internet and unlimited texts. in some opinions i have heard the camera and sound is rubbish and that the battery life is poor. All smart phones have a bad battery and there is apps to sort this out. i am a bit concerned on the camera though as i take alot of pictures. what is sobad about it? Should i get this phone on the deal please help!? 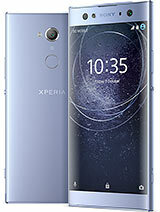 I bought Xperia X8 couple of days before, Believe me guys its worth for its price. Excellent display. Only one thing I worried is about to root my Xperia for upgrading to Gingerbread..
Will update if I face any ubnormal issue. Nishanth, 14 Aug 2011Hey, Whats the app to move apps from phone memory to sd ?? Thanks App2sd you can find it in android market there are pay and free version. Good idea to read users reviews to find out the application have any issue on your hardware. I've ask a sony ericsson Representative and they've said that this would be upgraded to froyo? It is true? Whats the app to move apps from phone memory to sd ?? Get juice defender lite & task kill,Will help you a lot :)..Works wonders on your phone ! ! ! Btw get applications like juice defender,task killer to boost the battery charge or else its bad & one more bad thing is the screen brightness outdoors its a bit poor other than those silly stuff this is the Perfect phone :) ! Actually its a nice phone because display clarity of X8 is simply superb but others display clarity is really poor compared to X8. one thing i can tell you is when you need this kind of quality you shouldn't expect battery life. But i'm getting 2 days of battery life. Now you can get W8 instead of X8 bcoz we can expect better sound quality than X8 as it is a Walkman series phone. anil indika, 12 Aug 2011this phone is excellent.i have updated it for 2.1 and it working smmothly with high quality ga... morewhy wifi unconnected ..
not a bad phone for the price, has some good features but the only drawback i have found is the battery life is horrible. chl, 10 Aug 2011u cant use it as a modem for ur lappy. this phone is excellent.i have updated it for 2.1 and it working smmothly with high quality games like nfs shift too.you can easily use it as a modem.but i connect to the internet by using my phone as a wifi hot spot so i dont need to connect by using data cable.link to sd is great for move application to the sd card..rooting is not a magic it is very easy 3or4 step procedure(thanks for developers).it has great battery life too.great job from SE. chand, 11 Aug 2011does x8 support flash on web.it's need other application, please visit http://forum.xda-developers.com/forumdisplay.php­?f=846 if u need something for xperia x8 phone ..
does x8 support flash on web.